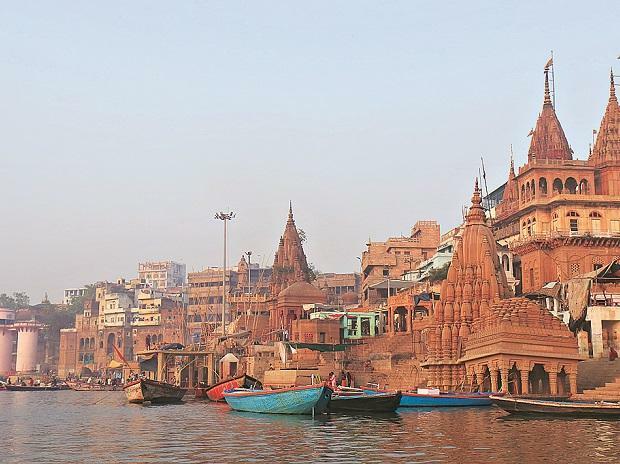 The Essel group’s Clean Ganga project in Prime Minister Narendra Modi’s constituency Varanasi is caught in a logjam owing to delays in construction. India Ratings and Research (Ind-Ra) says there is uncertainty over timely completion of the project due to the upcoming monsoon season. Also, higher reliance on the sponsor to fund the shortfall is adding to the uncertainty, it added. Varanasi STP Project Private Limited (VSPPL), which is 74 per cent owned by Essel Infraprojects (EIPL), is developing a sewage treatment plant at Ramana in Varanasi. The agency has downgraded VSPPL’s bank loans from ‘BBB’ to ‘BBB-’. The outlook on loans is negative. The term loans of Rs 57 crore for the project are to mature in June 2019. There is a bank guarantee of Rs 13 crore. The downgrade reflects slippages in VSPPL’s project from original timelines due to delay in construction. There have been consequent deductions in the first two grants from the authorities — Uttar Pradesh Jal Nigam (UPJN) and National Mission for Clean Ganga (NMCG). The sponsor, EIPL, will have to plug the shortfall in grant through contributions. Timely equity infusion, release of grants and sponsor support for project completion will remain key factors for the ratings, the agency said. VSPPL was awarded a concession to construct a 50 million litres per day (MLD) sewage treatment plant in Ramana, Varanasi, and restore allied facilities under the hybrid annuity model. The operations and maintenance (O&M) period as per the concession agreement is 15 years from the date of beginning of commercial operations’. The bidding cost of Rs 56.55 crore includes land and project cost, and O&M. The appraised project cost of Rs 123.47 crore is proposed to be funded by a term loan of Rs 56.83 crore, a construction grant of Rs 42.3 crore and the balance through equity. Ind-Ra said the project achieved two construction milestones and received payments, albeit with some deductions. According to a chartered accountant’s certificate, the project achieved financial progress of 47 per cent as on March 15, 2019, against the estimated progress of 62.3 per cent. However, according to Essel’s management, the project achieved 50 per cent physical progress as on January 31, 2019, after which the second milestone payment was released. The physical progress as on date is about 55 per cent. The management expects the project to be completed by November 30, 2019, as planned. The liquidated damages deducted by the authorities reduced from 87 days’ delay in the first milestone payment to 48 days in the second milestone payment. The deductions will be reimbursed once the project is commissioned within the scheduled timelines, VSPPL said. EIPL has provided an undertaking to meet cost overruns and shortfall in resources for project completion and debt servicing for the entire loan tenor. The sponsor will bridge the funding gap during the operations period on account of delays or non-payment of annuity by the authorities. EIPL will also infuse additional funds till maturity to maintain a debt service coverage ratio of 1.10 times. The sponsor’s financial health has weakened following stress in Essel group. It may impede timely injection of funds. However, the management has confirmed adequate infusion of funds and vowed to complete the project on time.